According to estimates based on sales information, over one million women per year use bioidentical hormones. The most common compound preparations for bioidentical hormones are designed to mimic estrogen, progesterone, and testosterone, since those are the most relevant hormones in a woman's body. These compounds are allegedly safer than their pharmaceutical counterparts, though no conclusive research has been done to date. On this page, women will be able to find information about the most common types of bioidentical hormone therapy. During menstruation, the majority of estrogen produced by the body is estradiol. In postmenopausal women, however, estrone dominates. Depending on the patient's age and symptoms, there are various bioidentical estrogens that can be tailored to treat the estrogen deficiency. However, given the limited amount of scientific research on bioidentical estrogen, it is impossible to provide a conclusive assessment of its benefits. Estriol, for example, is frequently bioidentically prepared in the United States. Though research conducted during the 1970s suggested potential usefulness, follow-up studies have failed to confirm this potential. Today, bioidentical estrogens are commonly prescribed in the United States - sans The Food and Drug Administration (FDA) approval - and in the European Union as conventional treatments for hormonal imbalance, and they are available as a cream or vaginal suppository. To keep learning about this topic, click on bioidentical estrogen hormones. Progesterone is approved for use by both the FDA in the United States and by Health Canada. 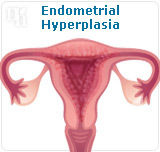 It is often used to prevent endometrial hyperplasia when used in opposition to estrogen treatment. Bioidentical progesterone has had measured success in treating menopausal sleeping disorders, perhaps more so than purely synthetic progestins. It has proven effective at treating other menopause symptoms as well. More research on bioidentical progesterone is needed to substantiate claims of its effectiveness as a treatment for hormonal imbalance. To keep learning about this topic, click on bioidentical progesterone hormones. Research suggests that bioidentical testosterone supplementation can improve libido in postmenopausal women. However, this is unfortunately accompanied by reduced levels of high-density lipoprotein (HDL), or “good” cholesterol. Again, there is little scientific, peer-reviewed data published to support the use of bioidentical testosterone. A testosterone patch has been approved for use in the United Kingdom and European Union, but its approval in North America remains suspended pending evidence that supports its safe long-term use. To keep learning about this topic, click on bioidentical testosterone hormones. While the pharmaceutical production of bioidentical hormones is regulated in the United States at both the state and federal level, internet vendors have been known to understate associated risks and overstate potential benefits. Women who are interested in bioidentical hormones as treatment for hormonal imbalance should proceed with caution and always under the care of a physician. The effectiveness of bioidentical hormones remains debatable. In the meantime, hormonal imbalance can be successfully treated without medications or alien hormones. To combat hormonal imbalance naturally, keep the body fit and healthy. Eat well, exercise regularly, and adopt stress-reduction techniques like yoga and meditation. Simple lifestyle changes very often have a tremendous impact on hormone levels, helping to re-stabilize them with relative speed. While a healthy lifestyle is indisputably beneficial for all regardless of age or gender, women seeking relief from hormonal imbalance may also be interested in alternative remedies that target the source of the imbalance. Click on the following link to learn more about alternatives to bioidentical hormones replacement therapy.